The study of things that people desire is not a new one. It is the foundation of industry upon industry, from motivational speaking, to retreats, to the hundreds of thousands of books geared towards aiding people in acquiring what they want. We’re fascinated by successful people - they’re on our television screens walking down red carpets or entering intimidating buildings, they’re in our newspapers making headlines for their latest big moves. Their triumphs are rewarded with magazine spreads and flattering stories, their failures litter internet news sources and present to us mopey pictures of recently boisterous tycoons and stars. Authors, employees, and middle school students alike have always observed those who have things they wish to attain, be it Bill Gates’ boldness, Oprah’s perseverance, or Kim’s new roller blades. They’ve got something we want, and studying them to find out how they got it is human nature. Whether your aim is to be a rock star or a monk, your local bookstore will likely provide. There is one quality of all of these studies, however, that seems to be consistent. Success is studied as an individual achievement, earned due to the brains, brawn, or drive of the person experiencing its glories. This is where Malcolm Gladwell’s book, Outliers, diverges from its neighbors on the bookshelf. This deemed “Story of Success” focuses on factors of community, coincidence, and even adversity,as ingredients at least as vital as talent or intelligence in the accomplishment concoction. planet. In a country that takes hockey very seriously, training begins early. Most kids are on the ice by the time they enter elementary school, and the talent divisions commence almost immediately. Reviewing the 2007 professional roster, it was Canadian psychologist, Roger Barnsley’s, wife Paula who noticed an odd synchronicity: an overwhelming majority of the boys were born within the first four months of the year. The study was expanded, the trend was undeniable. Statistics reveal that in all professional hockey players across the globe, forty percent are born between January and March, thirty percent between April and June, twenty percent between July and September, with only ten percent having been born between October and December. Do the planets aline in such a way as to give those born between January and April superior skating skills? Do embryos develop better musculature between June and December? Or are those born early in the year endowed with some kind of unconscious confidence boost because they got here first? In fact, the cut off for hockey registration is January 1st. This means that the players born earliest in the year are bigger, oftentimes sizably so at that age, and appear to be more talented players. They’re then placed in an elite group and given much more specialized attention and many more hours of practice. A small chance advantage can often garner a magnitude of specialized opportunities. Bill Gates, Steve Jobs, and Bill Joy have two more things in common beyond abnormal intelligence and business savvy: they were all born between 1954 and 1956, and they were all provided with rare and vital opportunities for practice in their trade. Those born in 1955 were the perfect age for the dawning of the personal computer, old enough to think about the new machines in terms of their worth in business, and young enough to take part in the revolution as opposed to just feel its effects. Each of them took an early interest in computers, and then, no different from the hockey elite, chance and timing made all the difference. 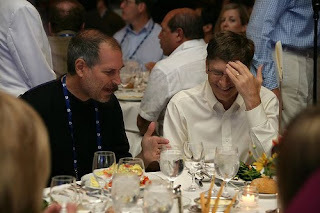 The mothers at Bill Gates’ private middle school decided the year that he started there to pay for a computer center. Most colleges at the time didn’t have computer centers. Steve Jobs lived in the center of Silicon Valley in an area full of engineers from Hewlett Packard, whose evening talks he was able to hear as often as he pleased, which was often. And Bill Joy? He attended University of Michigan to study biology and just happened to live in a dorm next to the computing center. A little creativity with the codes system granted him unlimited access and he would often stay there overnight. 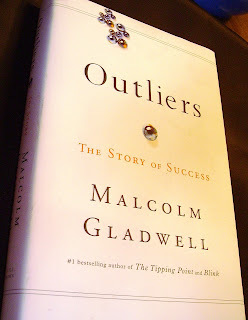 These stories of chance turned into huge success pertain to one of the major certainties that Malcolm Gladwell has determined through years of observation. To master something, anything, you must practice it for ten thousand hours. Some of the smartest people in the world with IQs pushing 200 (point of reference, Einstein’s IQ was 150), have completely floundered, failing to discover their calling or put it to work. Gladwell attributes this to the fact that IQ without chance opportunities that provide these 10,000 hours of practice, doesn’t add up to achievement. We all know that Mozart was a prodigy. He began composing his first pieces around age four, yet his earlier pieces weren’t considered especially inspired. Even the things he was coming up with in his teens were easily overlooked. It wasn’t until he was 21, after ten years of composing and the crossing of that ten thousand hour mark, that Mozart began creating pieces that earned him any recognition. Of his book, Gladwell states: “This is not a book about tall trees. It’s a book about forests..” in other words, “..no one - not rock stars, not professional athletes, not software billionaires, and not even geniuses - ever makes it alone”. The individual is a constant source of interest and study, and yet so much of what an individual does in life is dictated by those opportunities they’re provided with and the time they dedicate to their passions. 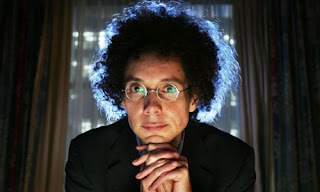 Gladwell believes that intelligence, talent, looks, and any number of strictly individual characteristics, effect the ease with which someone is able to accomplish various tasks. But ultimately, it is the right time, the right place, and ten thousand hours of practice, that creates super stars.